We continue to talk about the history of roses, in this article you will learn how arose a French rose, namely such famous varieties as Princess Helene, La France, Ma Paquerette, etc. In the early 16th century, Count Lancaster brought a French rose or a red rose from France – rosa gallica. This rose became the emblem of this kind. 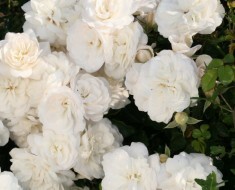 Rosa alba or white rose was the emblem of the Dukes of York. As a result, in history there is a place for the Wars of the Roses: Red Rose and the White Rose or the Thirty Years’ War for the throne of England. There is a legend that the gardener crossed these two kinds of roses and got a rose Mundi, which reconciled these two kinds. In addition, the flower was minted on the coins of that time. At the end of the XVII century. in culture there appeared a fragrant capital rose – centiphy or cabbage rose with a globular flower. In Europe, at the same time, a yellow rose is brought from Persia, and muscus rose from the Himalayas. In China, roses began to grows when the Western civilization was just beginning. There already in full use of rose oil and rose petals in perfumery. 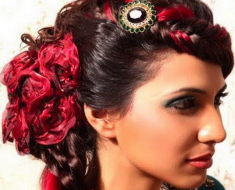 Also, the flower served as a symbol that protected from evil spirits. But in the XVIII century traders of the East India Company visited there and found there cultivars with small, without a pronounced aroma, flowers that grew on stretched bushes, and blossomed in several waves from spring to late autumn. The first of these was brought to Europe Old Blush (1752), and then Slaters Crimson China. Other Chinese roses reached Europe much later. 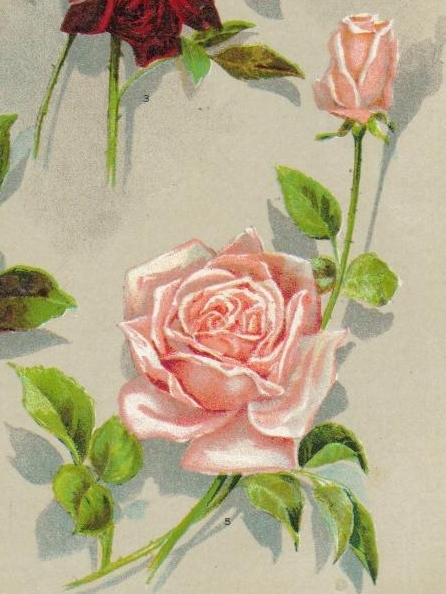 These were tea roses – the first aristocrats among roses. Although they were afraid of frosts, they were fascinated by their flower shape, delicate aroma and long flowering. With the random crossing of the eastern rose Autumn Damask and the western Rosa Gallica Officinalis in Italy, the first hybrid variety was obtained, which was named Duchess of Portland, the ancestor of portland roses. With the advent of the Bourbon rose in France, a real pink fever began. 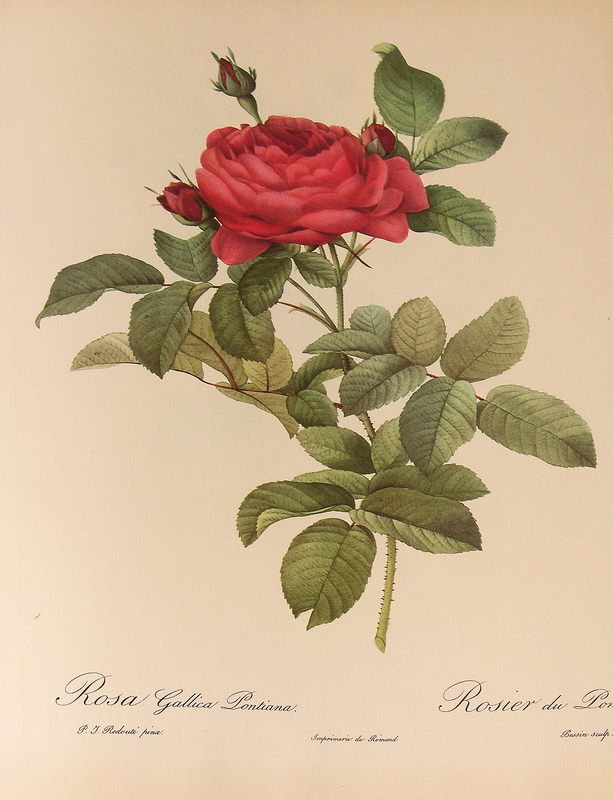 In 1837, when Bourbon and Porteded roses were crossed, the Princess Helene variety was obtained, which became the first of a group of repair roses. Basically until the end of the nineteenth century. the breeders were engaged in breeding only remontant roses and they appeared not much more – more than 3 thousand varieties. But these roses had flaws: a small variety of colors, uneven flowering, large spreading bushes. 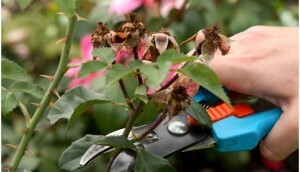 The tea rose did not have enough frost resistance. Therefore, the breeders set themselves the goal of obtaining a variety that will combine the frost-resistance of the patchwork and the tenderness of tea roses. So in 1867, received the grade La France. This French rose became the ancestor of tea-hybrid varieties of roses. With the name of J.-B. Guyot associated the appearance of the first polyanthus Rose Ma Paquerette with small white flowers, collected in large inflorescences on low bushes. Very popular of them now is The Fairy. Flowers of polyanthus roses were not very large, and the bushes themselves are not very large. The family of Danish breeders considered them shortcomings and set out to cross polyanthus and tea-hybrid roses. The first was the brand Else Poulsen. 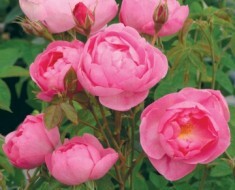 With the advent of new varieties of this group, the properties of tea-hybrid roses became more and more evident. Therefore, in 1952, the National Society of Rose Growers of Great Britain adopted as the name came from America the term – floribunda roses. Most of the dwarf varieties of the floribunda group and some tall varieties of miniature roses were allocated to a special group of roses on the patio. A variety of shrub roses, which form outstretched and arcuate shoots, was allocated to a special group of ground-cover roses. The world of roses is constantly developing, new varieties are emerging – the history of roses continues.